Neurological diseases are diverse and require thorough diagnostics. Only then can ideal therapies for individual symptoms be developed. The Beta Neurology team diagnoses and treats disorders originating from all neurological areas. Under the direction of Prof. Dr. med. Christian E. Elger, an experienced epilepsy specialist, Beta Neurology examines the specific causes of epilepsy. To that end, our specialists utilize the Beta Klinik’s excellent imaging technology, which includes a 3 Tesla MRI Scanner. For in-depth diagnostics, EEG, long-term EEG, and long-term video-EEG recordings (inpatient) as well as EMG, evoked potentials, measurement of nerve conduction velocity, Doppler sonography of the brain supplying vessels, and other electrophysiological examination options are available. Due to their many years of experience in the university hospital environment, the Beta Neurologists – consisting of Prof. Dr. Christian Elger, Dr. med. Monika Jeub, PD Dr. med. Pawel Tacik, and Dr. med. Stefan Kuczaty – guarantee specialized care and targeted treatment of various types of epilepsy as well as other seizure disorders. Together with his team and in close cooperation with neuropaediatrician Dr. med. Stefan Kuczaty, Prof. Dr. Christian Elger examines the differential diagnoses of seizure-like disorders and works out individual forms of therapy for patients of all ages. The treatment of movement disorders covers all neurological areas and disease patterns, from Parkinson’s disease to cerebrovascular diseases and neurodegenerative diseases, such as dementia and ALS. These disorders are treated as comprehensively as those of patients who suffer from spasticity and movement disorders as a result of a stroke. In PD Dr. Pawel Tacik, Beta Neurology has a specialist at its disposal who knows how to treat these movement disorders through the targeted use of botulinum toxin. 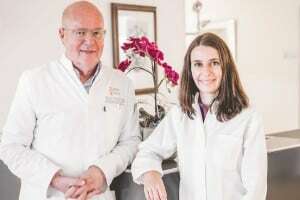 In close cooperation with the neurosurgery department of the Beta Klinik, additional gentle and modern therapy methods for the treatment of various forms of epilepsy and movement disorders can be applied. All diagnostic procedures involved in the preparation of epilepsy surgery – including the implantation of stereotactic electrodes for the localization of epileptic foci – are implemented. Epilepsy surgery at the Beta Klinik, using MRI-guided laser ablation, is particularly gentle. Stimulation procedures (deep brain stimulation) for movement disorders as well as vagus nerve stimulation for epilepsy are also performed. Beta Neurology covers the entire diagnostic and therapeutic spectrum of neurological diseases, including physiotherapeutic measures. 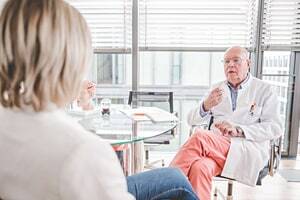 Interdisciplinary communication and a lively, close exchange of medical knowledge among the various medical disciplines at the Beta Klinik make personalized examination and treatment of neurological symptoms, with their various facets, possible.